Phthalocyanine Blue BN, also called Monastral blue, phthalo blue is a bright, greenish-blue crystalline synthetic blue pigment from the group of phthalocyanine dyes. It was first developed as a pigment in the mid-1930s. 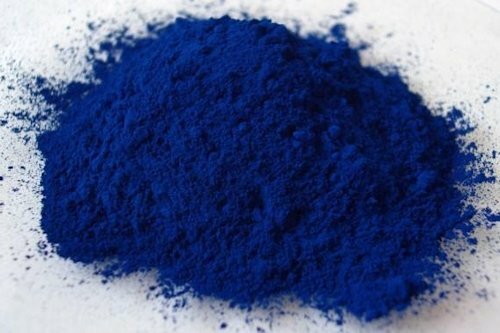 Its brilliant blue is frequently used in paints and dyes. It is highly valued for its superior properties such as light fastness, tinting strength, covering power and resistance to the effects of alkalies and acids. It has the appearance of a blue powder, insoluble in water and most solvents. Due to its stability, phthalo blue is also used in inks, coatings, and many plastics. The pigment is insoluble and has no tendency to migrate in the material. It is a standard pigment used in printing ink and the packaging industry.